UBM China (Guangzhou) Co. Ltd. serves the rapidly developing markets of China. UBM China is made up of a highly-professional group backed by more than 20 years' experience in the China market place. UBM China (Guangzhou) Co. Ltd. is responsible for arranging groups/delegates who are interested in promoting their products and services to both the domestics and overseas markets. Our expertise and experience with the Chinese Mainland market enable us to give China-based companies that are interested in expanding their businesses, the chance to exhibit at UBM Asia's leading international trade shows which are some of the world's most prestigious global forums of their kind for buyers and sellers alike. In addition, our office organises contingents from the Chinese Mainland to visit UBM Asia's trade shows, giving them the opportunity to source for high quality products. Our main focus groups include beauty and health, jewellery and gift, leather and fashion, pharmaceutical and relevant machinery, health and food ingredient, paper, marine, rail, chemicals, etc. UBM China (Guangzhou) Co. Ltd. is a member of the UBM Asia group of companies. 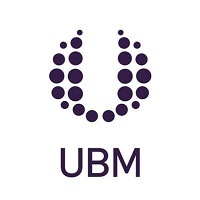 Owned by UBM plc listed on the London Stock Exchange, UBM Asia is the largest events organiser in Asia, India and SE Asia. We are also the leading commercial organiser in China. Established with its headquarters in Hong Kong and subsidiary companies across Asia and in the US, UBM Asia has a strong global presence in 25 major cities with 31 offices and over 1,600 employee. With a track record spanning over 30 years, UBM Asia operates in 11 market sectors with over 290 events, 28 targeted trade publications, 18 round-the-clock online products for over 2,000,000 quality exhibitors, visitors, conference delegates, advertisers and subscribers from all over the world. We provide a one-stop diversified global service for high-value business matching, quality market news and online trading networks.UBM Asia was awarded ‘Asia’s Most Reliable Trade Show Organizer Award’ in Hong Kong’s Most Valuable Companies Awards (HKMVCA) 2016. UBM plc is a leading global company.We are the largest pure-play B2B Events organiser in the world. Our 3,750+ people, based in more than 20 countries, have expertise in more than 50 diferent sectors – From Fashion to pharmaceutical ingredients. Our global networks, skilled, passionate people and market-leading events provide exciting opportunities For people to achieve their ambitions.